The transport and logistics sector has had to consider their impact on the environment for a long period of time due to European emissions regulations. Previous versions of this legislation have only ever impacted road vehicles, however the upcoming Euro-Stage V emissions regulations now includes forklift trucks; making this a wider consideration in their business. 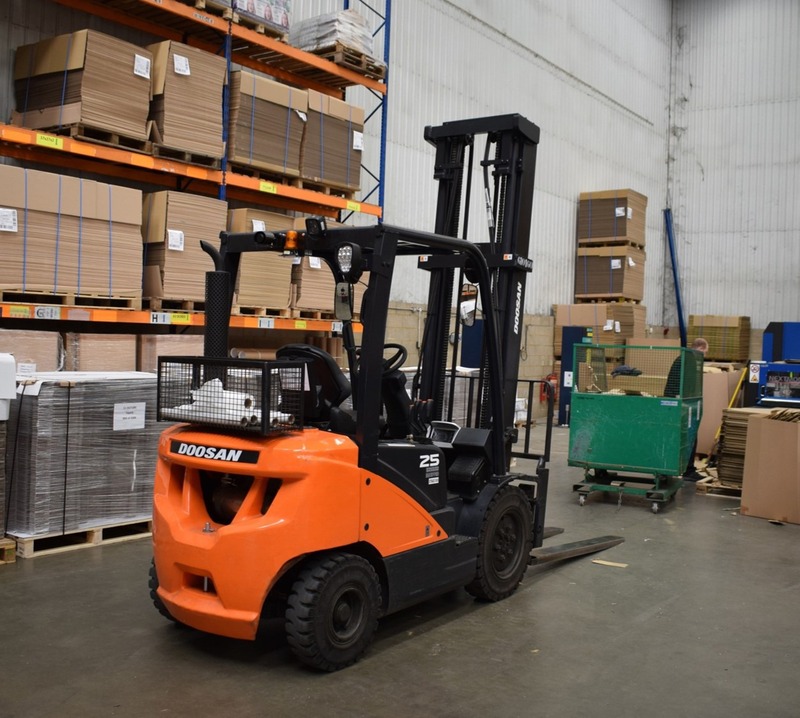 Here at Doosan, we have been working proactively to ensure that all of our engine powered forklift trucks comply with the new legistlation. In particular, our range of 2.0 – 3.5 tonne capacity forklifts. In particular, our Doosan D20-35 diesel forklifts feature the innovative Doosan G2 engine. This engine has been developed to provide high power at low rpm, reduced fuel consumption and it currently meets all emissions regulations without the need for a diesel particulate filter (DPF). The focus on productivity in the transport sector is two-fold; covering truck reliability and also operator productivity. These two elements working together will help to ensure that transport companies are getting the most efficient and productive working environment possible. Let’s start with reliability, this shouldn’t really come as a surprise in any business sector but the reliability of your forklift trucks, warehouse equipment and any other machines is the heartbeat of most operations. All Doosan equipment is designed to be robust and reliable, we wouldn’t say that we had the strongest, toughest, most reliable forklifts available if we didn’t believe it! All of our forklifts are manufactured using heavy gauge steel, meaning that they will withstand even the most demanding of use; reducing the amount of downtime each truck has. Not only that, included as standard is our industry leading sealed, oil-cooled disc brake system, which is virtually maintenance free and lasts up to five times longer when compared to conventional shoe brakes. The sealed units protect against outside elements such as dirt, water and grit, ensuring top-rate braking performance for enhanced safety and increased productivity. Now let’s look at the operator. All of our forklifts have been designed to provide the highest amounts of comfort possible for operators. If your operator is comfortable, it will reduce fatigue and mean that you’re getting the highest levels of productivity possible from each of them. Here at Doosan, we appreciate that safety is paramount when using forklift trucks; and that this not only applies to the operator. This is why we feature a number of industry leading – and award winning – safety features on our forklifts. These features include the Doosan rear grab handle with horn which won the prestigious FLTA Award in the safety category, a swing out and down gas bottle carrier, our previously mentioned oil-cooled disc brake system and more. If you’d like to read more about our range of safety focussed features, you can do so in our previous blog. If you’d like to know more about how we can support your business, you can contact us or call us on 01604 825 600 today.